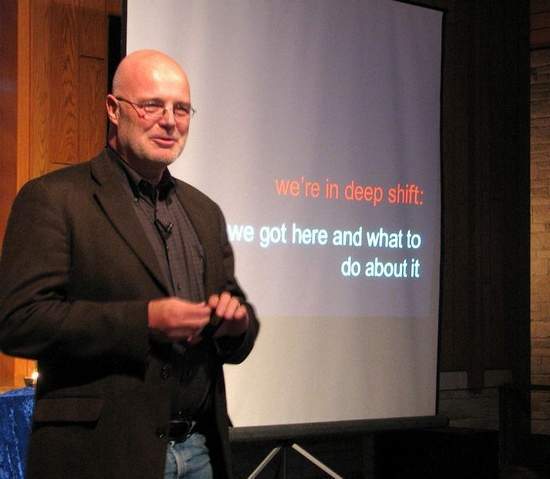 In recent Apprising Ministries pieces like Did Brian McLaren Overplay His Hand? and Brian McLaren Invites You On His Quest To Destroy Christianity I’ve shown you that with his new book A New Kind of Christianity (ANKoC) McLaren, now a Living Spiritual Teacher alongside such as Deepak Chopra, the Dalai Lama, Thich Nhat Hanh, Eckhart Tolle, and Marianne Williamson, has come out of the closet, as it were, and has all but laid out his reimagined i.e. new form of Progessive Christianity aka liberal theology that so many in the EC actually adhere to as well. Now using the prophetic words of Dr. Walter Martin (1928-1989), the original “Bible Answer Man,” and as a follow-up to How Did Ken Silva Know About Brian McLaren?, I bring your attention to Martin’s lecture on The Cult of Liberalism circa 1986. This important message thoroughly exposes the theologically rotten roots the neo-liberal cult of the sinfully ecumenical Emerging Church de-formation of the Christian faith aka Emergent Church—that’s now morphed into Emergence Christianity (EC)—slithering its way deeper into the mainstream of evangelicalism, and, maybe even into your own local church. Following below are the major theologians of what was also known at the time as modern theology; such as these infected the professors who would then, in turn, infect the leaders today within this Emerging Church. And in addition, you’ll also see the methodology they used in order to take over the now mortally wounded mainline denominations. So, if you really want to know the truth about the theological poison, which is even now seeping into the veins of the mainstream evangelical camp—and notice the deafening silence of EC voices re. McLaren’s book—then listen to Dr. Martin. There’s no such thing as a little bit pregnant. Got the message? No such thing as a little bit pregnant—you are, or you’re not. Well, there’s no such thing as a mild form of cancer; it’s cancer. You don’t get rid of it, you don’t deal with it, it gets you. And we have to deal with these things today; if we don’t, they’ll end up getting what’s left of the Church… The form of godliness, but without the power; without the sound doctrine of Scripture. And what do we have today as the reigning school of [biblical] interpretation in Protestantism in our theological seminaries world-wide? For you see, for those who actually do want to know, it really is as clear as the above as to who McLaren’s mentors are, and just where it is that he learned his methodology.